Why Choose the Geneva Academy?  The Geneva Academy is a leading education and research institution in international humanitarian law (IHL), human rights (HR) and transitional justice. Our LLM in International Humanitarian Law and Human Rights (LLM), our Master of Advanced Studies in Transitional Justice, Human Rights and the Rule of Law (MTJ) and our Executive Master in International Law in Armed Conflict (Executive Master) are unique programmes that provide students with a solid legal background and practical tools to address contemporary challenges in these fields. Our three master’s programmes are organized around small and intimate learning communities, creating an exceptional learning environment. 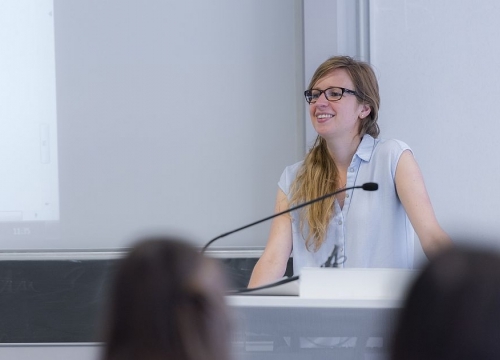 Our students are taught by leading academics and practitioners in IHL, HR and transitional justice. We attract some of the most experienced and academically qualified students from around the world. They share their expertise, discuss pressing concerns of the international community, and reflect on the application of international law to them. As an HR and humanitarian hub, Geneva is home to the main humanitarian and HR actors and to all the United Nations (UN) HR mechanisms. The Geneva Academy has developed close collaborations with these institutions, and thus hosts distinguished guest speakers at lectures, seminars and events. Students enrolled in the LLM and in MTJ also have the opportunity, as part of these programmes, to gain first-hand professional experience via internships with leading organizations in the field. For example, the International Committee of the Red Cross (ICRC), Office of the UN High Commissioner for Human Rights (OHCHR), International Law Commission (ILC) or UN Children’s Fund (UNICEF). Our objective is to produce graduates who will be leaders in the humanitarian, HR and transitional justice fields. They may work as legal advisers, researchers, professors, diplomats, advocates or field officers with international organizations, international courts and tribunals, NGOs, academic institutions, development agencies or governments. Our 700 plus graduates are employed worldwide in these sectors, notably by the UN, ICRC, OHCHR, UN High Commissioner for Refugees, Médicins sans Frontières, International Criminal Court, and European Court of Human Rights. We attract some of the most experienced and academically qualified students from all over the world who share their expertise and discuss pressing concerns. The Geneva Academy is uniquely positioned, with its proximity to the United Nations and other international bodies in Geneva, its expert faculty and its highly motivated, extraordinarily diverse, and very stimulating student body. It is extremely fulfilling to be part of it.